DURHAM, North Carolina -- Freshman Wendell Carter Jr. scored a season-best 27 points, and No. 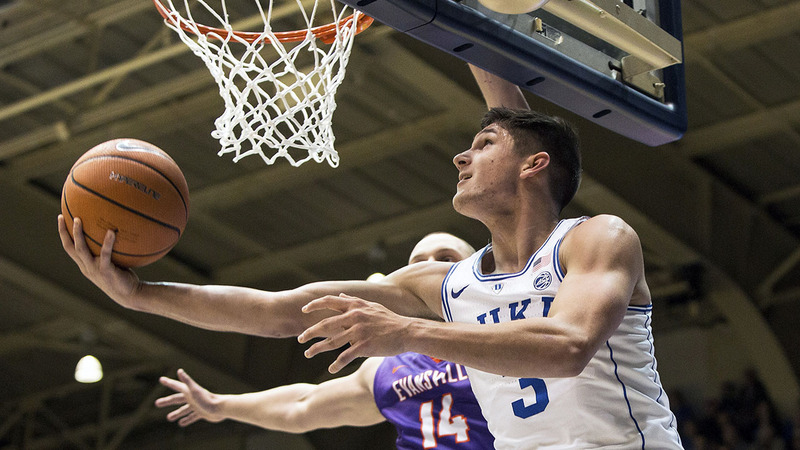 4 Duke routed Evansville 104-40 on Wednesday night. Marvin Bagley III added 18 points and Grayson Allen finished with 16 to help the Blue Devils (12-1) bounce back from their lone loss with one of their best defensive performances of the season. Duke blocked nine shots, forced a season-best 21 turnovers and turned them into 39 points against a slow-paced Evansville team. Dainius Chatkevicius had 12 points to lead the Purple Aces (10-3), who had their five-game winning streak snapped. Evansville entered allowing an average of 61.9 points per game. The Blue Devils nearly had that at halftime, leading 58-18 the break. 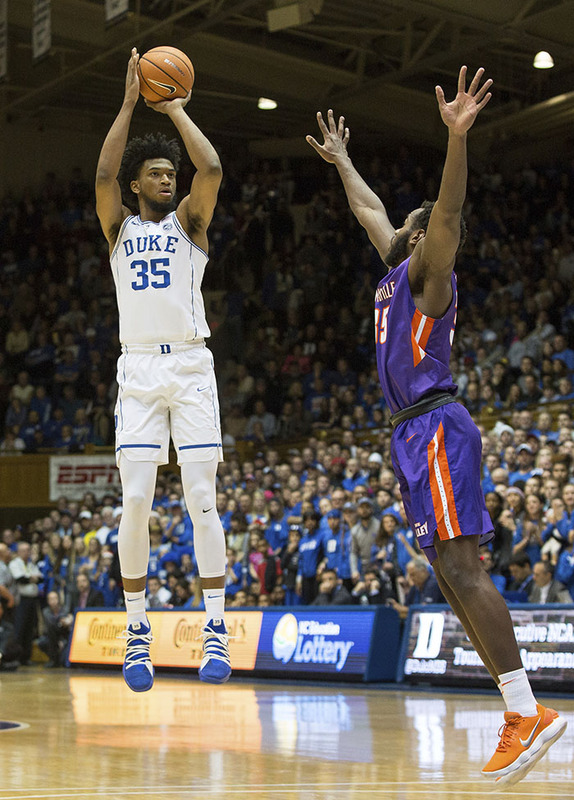 Duke's Marvin Bagley fires up a 3-pointer against Evansville. Gary Trent Jr. scored 13 points to help Duke put this one out of reach early. The Blue Devils needed just 13 1/2 minutes to build a 20-point lead and 2 1/2 more minutes to go up by 30. They hit 12 of their first 16 3-point attempts and finished with a season-high 16 3s after shooting 27 percent from long range in the 89-84 loss at Boston College on Dec. 9. Evansville: The Purple Aces like to play slowly - frequently milking the shot clock into the low teens or longer before taking their first shot or, more often, stumbling into a turnover - and that deliberate style worked against them as the Blue Devils methodically stretched their lead into the 20s and well beyond. Duke: The Blue Devils had 11 days to stew on the loss that knocked them from No. 1. Duke allowed the Eagles to hit 15 3-pointers in that game, but clamped down against an Evansville team that makes 49.4 percent of its 3s - the best in Division I. Evansville was just 5 of 14 from long range. Evansville: The Purple Aces host Illinois State on Saturday in their Missouri Valley Conference opener. Duke: The Blue Devils have another extended break, this one lasting nine days before Florida State comes in Dec. 30 for their first home ACC game.